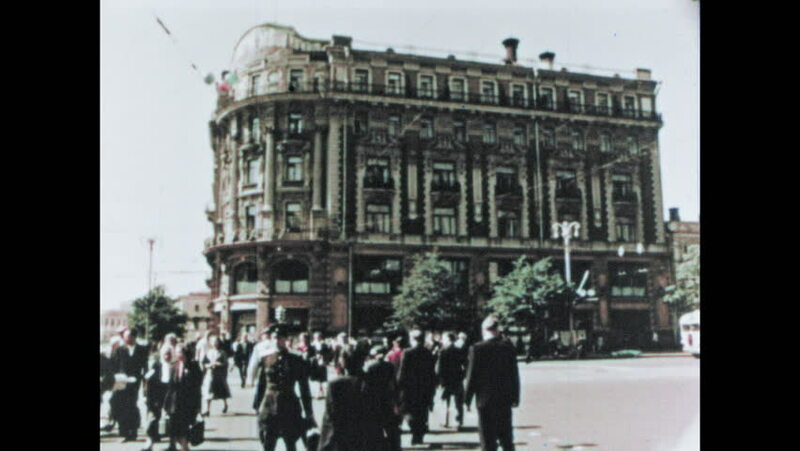 RUSSIA 1960s: people walk along streets in Moscow. Lady serves customer from stand. Shoe stand. Drinks stand. 4k00:30VENICE, ITALY - SEPT 2014: Venice Italy Grand Canal lagoon cruise ship spectacular. World Heritage Site. Travel destination by air, cruise ship. 117 small islands separated by canals and bridges. 4k00:08VENICE, ITALY - 4 SEP 2014: Venice (Venezia) is a city in northeastern Italy sited on a group of 117 small islands separated by canals. The population estimate of 272,000 whole Comune of Venezia. sd00:05ITALY, VENICE - September 20: St Marco Square with crowd of tourist on September 20, 2011 in Venice. St Marco Square is the largest and most famous square in Venice.